"To conquer fat, you must become fat." 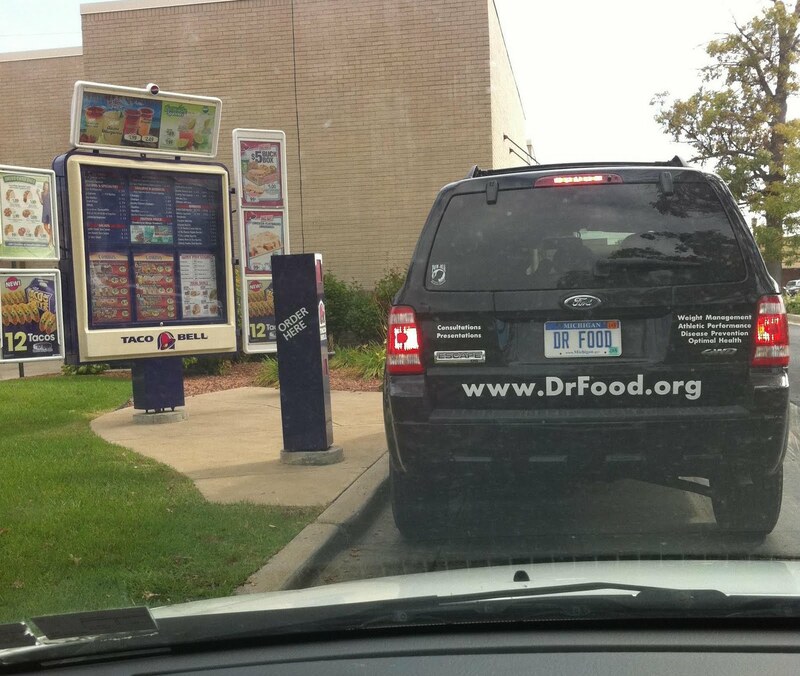 Looks like the Doctor's site (DrFood.org) has crashed due to this photo leaking! I'm sure the Ford Explorer is a tax write off, how about the meal! Yep, another pop-psychology phony. "Dr." Phil, "Dr." Laura, all of them are scam artists and should be in jail for their odious crimes.